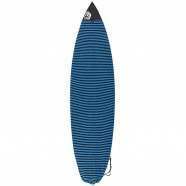 Contoured Stretch Fit: Uses a unique 'armadillo' strip that not only provides ventilation; 3D Rail Protection: Eliminates seams, provides layer of foam that contours to the shape of the rail; Expandable Fin Wing: Allows for you to carry your board with or without fins; Ergonomic Shoulder Pad: Double layered and vented; Noncorrosive Zippers: Built for strength, durability and resistance to seizing; The latest in lightweight shortboard surfboard protection for day-to-day usage. 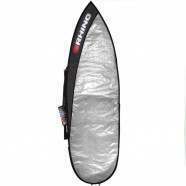 This bag is perfect for Shortboards up to 6'. :: Unisex > Boardbags Size: one size.